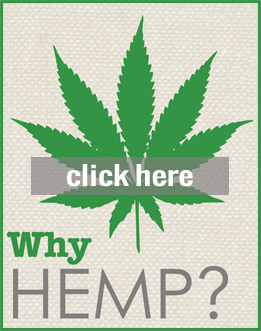 Hemp building is fast been recognised as the premier eco-building technique. It has mainstream acceptance in the EU and UK, where the British government is using hemp building techniques in their demo eco-houses and estates. The main ways hemp can be used in building are using hemp hurds (the chipped up stalk) mixed with a lime based binder to make hempcrete, compressed hemp hurds to make particle board, and hemp fibre to make insulation mats. Hemp in building is prized for its carbon negative rating, lightness, thermal properties and eco-friendliness. We have had samples of the hemp bricks and insulation products for a few years now, and have shown them to various influential people, including having the Western Cape Minister of Environmental Affairs, Tasneem Essop, handing them around to all the politicians during her budget speech as an example of an eco-friendly industry a few years ago. But everyone wants to see houses. We have been resisting it, as we do not want to have to import hemp to build in SA, as this negates some of the eco-friendliness and is expensive, but it seems like a bit of a catch 42 as seeing the finished houses is probably a necessary step to get legislators to take notice. We were inspired by the work done at the “Naturally Yours” in Bryanston around the time of the World Summit on Sustainable Development in Johannesburg, where hemp blocks have been used in the walls of the building. We also saw the potential in the National Organic Produce Initiative’s “Grow Your House” project, which aims to build 20000 houses out of hemp within the CDM framework. So, we looked at what we could do, and in keeping with Hemporium’s primary goal of showcasing all that hemp has to offer, we decided to build a house. We secured a good plot in Noordhoek, Cape Town, which is considered one of the “greener” suburbs and has the right profile to build the demo house and get the best exposure for what we are aiming to do. The plot is quite steep, so added some design challenges, but it is right on a green belt and very much in nature, with sweeping views of the noordhoek/kommetjie valley. The initial research and design work was done with a team made up of Hemporium, Wolf of Wolf & Wolf Architects, Michael Orchard of New Earth Design and Tony Davenport covering the structural engineering aspects. As none of us had any experience of building with hemp, it was a long process of learning the techniques and getting the design right. It was a good team and we all brought something unique and positive to the table over the design period. Wolf went over to the UK during this time and met with several hemp building specialists, and we also received good advice from Tom Wooley, Ian Pritchard, Ralph Carpenter and Steve Allin, all pioneers of hemp building in the UK. I was invited over to Ireland to present at the International Hemp building Symposium on Hemp in South Africa as a potential industry and building resource, which was very beneficial as we made good connections and learned a lot about the practical aspects of building with hemp. Once we had our plans approved by council, we put the tender out to find a builder. Some of the quotes we received back were ridiculously high, but we understood that the builders were nervous as they had never worked with the materials and were not sure how long the building would take, so put in massive reservations for wages etc. It was looking like the whole project was going to be way over priced, and even if we managed to bring some of the materials in, we would find it very difficult to find anyone else who would build with hemp. It was around this time that I was approached by Erwin van der Weerd from Perfect Places who was trying to source hemp building products for his patented modular building system as he wanted to make it as eco as possible. 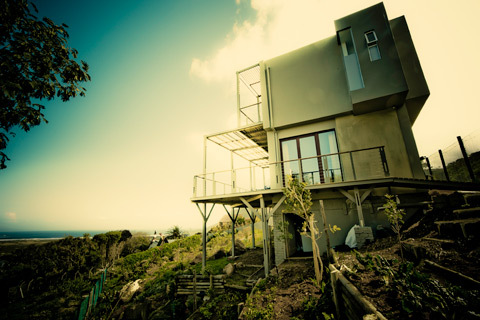 We evaluated his system, and we quickly saw the synergies and benefits of using a modular system for building with hemp, and for building eco-houses in SA. The costings worked out better, and we have formed a partnership with Perfect Places where we will provide the hemp materials and they will build the house, which means we can promote hemp housing on a much deeper level than just trying to sell the materials. We were also nearing the completion of a 2 year project with our suppliers in China to develop a hemp particle board that did not use formaldehyde and used an eco-binder instead, as we see a lot of potential for this product, being tree-free, lighter than wood and better insulating. So everything started flowing together, the boards arrived, Perfect Places have their factory set up, we have secured supply of the insulation and hempcrete products from France, so the final, but most crucial, stage in a long process is underway. The house has started to come together, with the wood frame being made in the factory first. The materials have all been procured and soon the plans will start to become manifest. This week we broke ground and the strip foundation is being dug. Here we go….